A man is standing on top of a braced wood block. 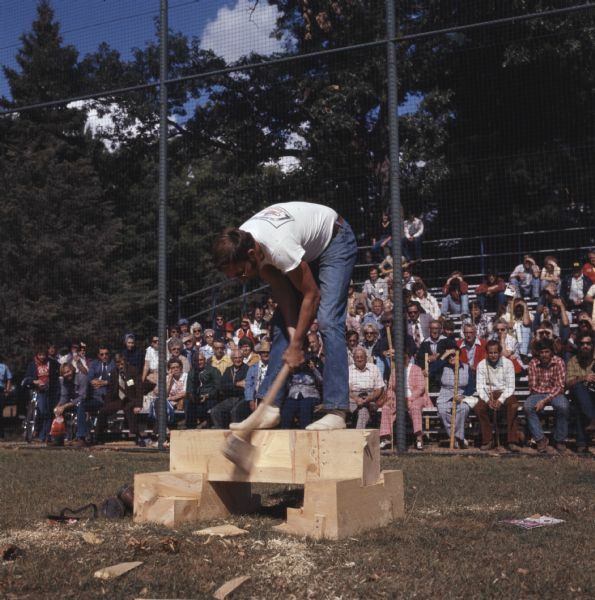 He is bending over as he swings his ax at the wood block on which he is standing. A crowd of people are watching from the stands behind him.